With the rise of Pinterest and home improvement TV shows such as Fix it or Finish It, the DIY era has taken off to new expansions. 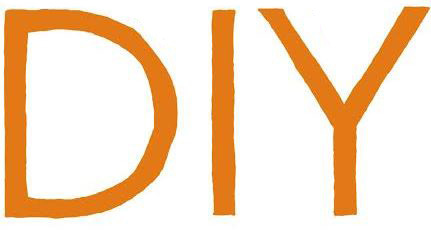 For almost any project you want to take on, you can find its DIY counterpart. With seemingly easy step-by-step videos at your fingertips, it makes one think, “How hard can it be?” While undertaking a DIY project may help save you money on labor, some projects should be left to the professionals. Here are 5 DIY projects that you should not do yourself. Electrical repairs can be extremely dangerous due to the fact that you are dealing with a high risk of electrical shock. Smaller projects such as the installation of a ceiling fan or changing out a light switch can be safely done yourself as long as the electricity is fully shut off. Anything beyond that, such as wiring throughout your home, should be trusted to the expertise of a certified electrician. Between special permits and building codes, it is important to hire a professional for your electrical needs. You may have unclogged your sink or toilet a time or two before, but modifying your plumbing system in any way could possibly get you into trouble. Anything to do with rerouting your sewer lines or adding on to hot water pipes is considered a major project, not to mention, you need to use a blowtorch when working with copper pipes. When dealing with plumbing, things can get out of hand fast. Even something as small as an improperly sealed water line can result in costly damages to your house. Insulation is an important component within the structure of your home–regulating the temperature, and sealing air leaks. With many different types of insulation to choose from, having a vast understanding of the project at hand is required. Older homes may even require an inspection and repair of any structural damage before installing insulation. A professional contractor will have the understanding, tools, and ability to install your installation to be the most energy efficient for your home. Roofing is another dangerous job that you should not attempt to do yourself. The biggest reason being you could easily fall and injure yourself. A roof improperly laid could result in other problems down the road, such as water damage, cooling and heating problems, as well as other expensive repairs. Whenever working with gas appliances, extreme caution needs to be taken. Not only could it be potentially harmful to your body, but one small mistake could be fatal. Carbon monoxide is an odorless gas that can be deadly when inhaled. Because the gas is odorless, colorless, and tasteless, you cannot detect it without the help of a carbon monoxide detector. A professional knows how to properly service gas appliances so you can breathe easy knowing that you and your loved ones will be safe. Major home improvements or repairs, such as the ones listed above should be done by a professional. USI offers professional insulation installation, along with a variety of specialty services. To learn more, contact USI online to get a free quote. USI believes that excellence in every step of the process ensures timely completion and quality service, time after time. ← Is Old Insulation Recyclable or Reusable?